Sri Sri Ravi Shankar (born 1956) doesn’t claim to be a Godman although his official website does call him "His Holiness." His claim to fame is that he is a spiritual guru. What do his hands say? Is he genuine or not? If not for hand analysis it would be a difficult question to answer in an objective manner. Well, even a cursory look at Sri Sri’s hands show him to be a thinking person and a compassionate human being. However, there are other facets to his personality. Both his Sun and Mercury fingers reveal that that he has a talent for making money, and a desire for it as well. And even though his Mercury finger tells us that he likes to make money by using his mind, this could point to one thing – that he just a clever businessman. But it isn’t as simple as that. Each one of us has something in us that drives us, and most businessmen are driven by money or at least the power that comes with money. Sri Sri Ravi Shankar may desire money, celebrity and power, and also like to flaunt it, but the critical difference between him and a businessman is that he wants power and fame not from wealth, but from the respect and adulation that comes from intellectual achievement. This is clear from the first phalange of his Jupiter finger with its slightly conic tip. It’s certainly not as contradictory as it sounds, because people are never black and white. 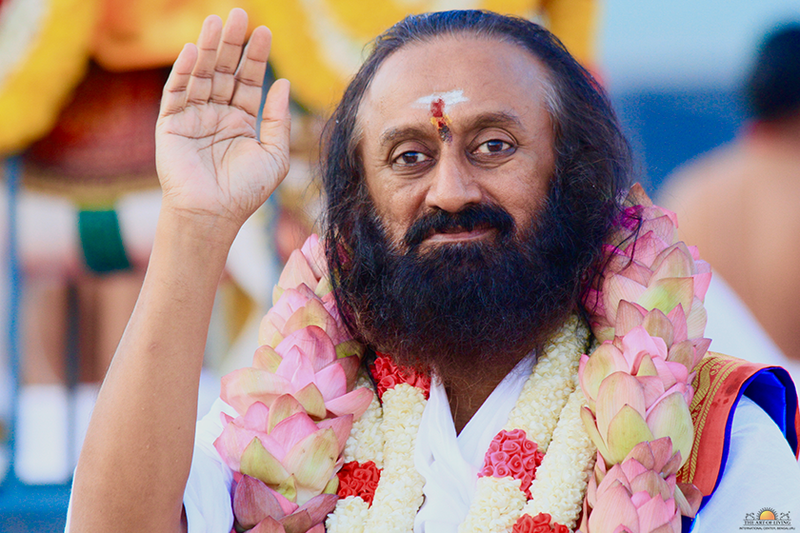 Take him or leave him, the truth is that Sri Sri Ravi Shankar's hand does not show him to be a cheat or a fraud. He wants respect from his wisdom and understanding, his ability to think, and analyse, all which he has, shown by the Saturn finger. In fact, these signs are far stronger in his hand than the desire for money, which means that this is what matters to him above all else. The shape the Mount of Venus is an additional indication that it is for some high minded work that he wants to be known. As Mercury and the Mount of Moon give him the ability to express himself and spread his word, it becomes easy for him to achieve his goal. It is the two square tips, his second phalanges, and the shape of the mount of Venus and Moon that tell us that he is not satisfied with just doing this. He wants something on the ground, use his talents for some practical end…in other words create infrastructure or make money. He has a very good thumb, large and low-set, and it leaves us in no doubt of his intentions. His intensions are humanitarian. Such a thumb gives a strong sense of purpose, the ability to lead, and a thinking mind behind the leadership. It gives a man character. It gives him generosity, unselfishness and compassion as well as determination. But yes, this gentleman has a flaw. I am not referring to his love of making money or love of comforts, which is another thing that people may dislike. It is his too strong a will, a will and determination that can be taken too far, making him obstinate and unreasonable. He also tends to speak his mind in no uncertain terms, at times rubbing people the wrong way. However, when he is being unreasonable, the state of mind is temporary. His head line as well as well as the thumb tells us that he is not pig-headed, and logic can prevail after a while. Another flaw in his personality is that he is not entirely open. Considering that he has other good characteristics, openness would have been a great asset. It would have made people trust him more. His hand shows that he has musical talent or at least a strong appreciation of music. He likes to go into detail, and is excellent at analytical thinking. His mind is very organized. He likes to pick things to pieces and analyse them and go deep into everything. He likes things well planned and likes to ensure that no detail is over looked. He is particular about small things, and is sensitive. He is quite restless and in his heart of hearts, a dreamer. Some of his ideas/schemes can be quite impractical. Sri Sri loves to travel, loves nature and enjoys his solitude. If one has to sum his personality, one can say that he does seem to be a “guru” if one believes in gurus, but he sure is a modern day guru. Read about other Spiritual Leaders on this blog as well as comparisons of modern gurus with the older ones. Hi Nita, I have read a few of your posts here. You provide an awesome analysis! Just wondering if you would be posting the Yoga guru, Ramdev's palm analysis? I am curious about him because of his various claims for cure of diseases. Hi wishtobeanon, good to see you here. Yes I will be reading Yoga guru ramdev's hands. I did Sri Sri as a reader wrote to me asking me to read his hands and then I was not sure whether I should read ramdev's. But photos of his hands are available on the net I think. If you are interested, I will read Ramdev's hands next, after I finish with Raefal Nadal. Amitabh Bachchan can wait! Yes, that's the main thing. That as long as he doesn't mislead, it's fine. If people can accept him as he is, quite human, then why not. As a reader wrote to my on a comment on this post, the main thing is what he has to say. No problem, Nita, I can wait. Thanks! hi nita,can u read baba ramdevs hand?i would feel glad if his visions and afirmations r true!i admire him a ton and am already a follower. 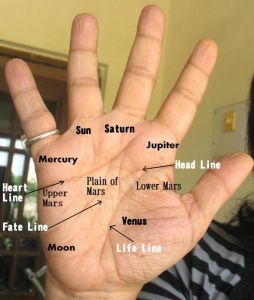 I do have great respect for palmistry, but lets keep this in our mind that sages and masters are beyond all the limits of body and mind. Daer Sunil, I respect your opinion but do not agree that our sages are "beyond all the limits of body and mind." No one is beyond the limits of body and mind. Any sage who himself proclaims that he or she is so, is definitely not in that category - far from it in fact. If a sage is humble and does not think he is God, and if just the devotees are elevating him to the God status, it does not make it true. No one is "beyond the limits of body and mind" except God himself. Krishna and Sai were humans themselves and there were many who couldn't accept them as God. The matter of fact is not just sages but all who walk on the spiritual path and follow Dharma can go beyond body and mind. One's soul/spirit is more powerful than one's body and mind and if you have won over your mind then that is it. Rest is history.